Samia Halaby is ranked among Middle East’s twenty most powerful women by French weekly Madame Figaro. 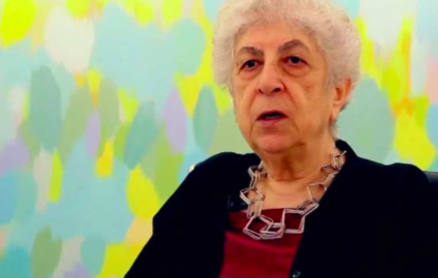 Often referred to as the mother of Arab abstract art, Halaby has received numerous accolades for her groundbreaking practice during the past five decades. In the power list, her name is cited along those of Sheikha Mayassa Bint Hamad bin Khalifa Al-Thani, Shirin Neshat, and Amina Al-Rustamani.